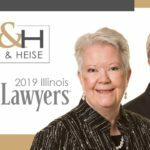 At Bush & Heise, our legal team is skilled in a variety of areas and has extensive practical experience serving clients throughout Illinois since 1977. 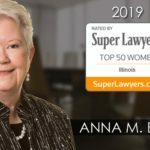 Contact a Barrington Illinois family law attorney today by calling 847-382-4560 or CLICK HERE to schedule a free, no obligation case evaluation consultation. We are available evenings and weekends by appointment for your convenience. Whether you are interested in resolving family law issues such as prenuptial or postnuptial disputes, divorce or dissolution of marriage, child custody matters, or asset division through collaborative law or traditional litigation methods, our law firm is ready to assist you. We work hard to establish wills, trusts and health care powers of attorney in an efficient and thorough manner. We have also helped many clients qualify for Medicaid benefits, and we have assisted in the resolution of many other guardianship and elder care planning issues.